A passionate tale of lust, seduction and betrayal, no other opera boasts as popular a following as Bizet’s Carmen. Bizet’s dazzling score evokes all the sounds and sizzling atmosphere of Spain through some of the opera’s most famous melodies, from Carmen’s seductive ‘Habanera’ to the Toreadors’ song. 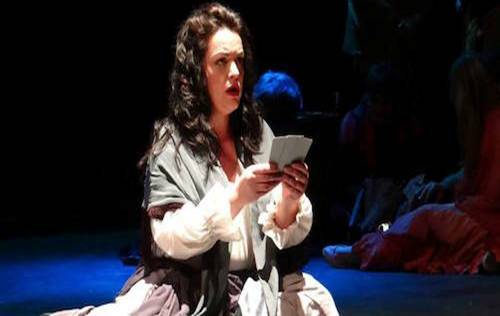 Sensational Mezzo-Soprano, Teresa de Wit, leads the cast. 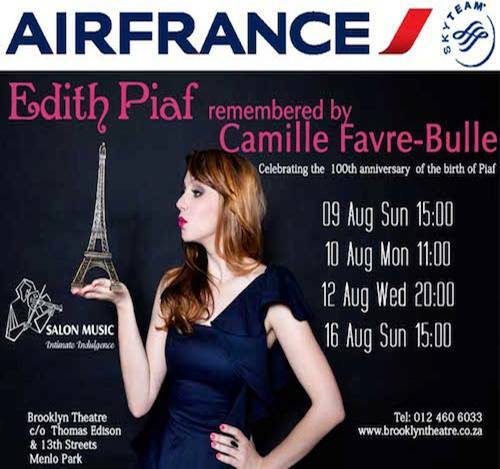 For those patrons who could not make the sold out performance on New Year’s Eve 2014, a programme comprising Piaf hits to die for – Non, je ne regrette rien, La vie en Rose, Milord and many more. Every Saturday of the year Classical Music is promoted at the Brooklyn Theatre. From choirs, operas, guitar, piano, violin recitals…a surprise each time. a Music Academy comprising an education programme for children 6 months to 6 years under tutelage of Magdaleen Lamey. Save R50 per concert when you book for 5 GPO events and more. iSalon in Brooklyn Mall is closing 27 September 2015.
will open in Brooklyn Theatre on 1 October. Exclusively supplying Grand Pianos, Instruments, Educational and music accessories, Sheet music, International Classical, World Music, Jazz and Choral CD recordings, all recordings on the Salon Music label, as well as Concerts, Operas and Art Films on DVD, Apple products (machines,devices and accessories). New agreements have been signed to sell educational music products for the Musicula programme. Copyright © 2015 Brooklyn Theatre, All rights reserved. Integrating separate endeavours to facilitate and realise our dream of ‘Art inspired Music made Accessible’.